Some days I just have no time to arrange any complicated crafts. Glitter and glue is something I can always find in my craft box. It's fun and messy! 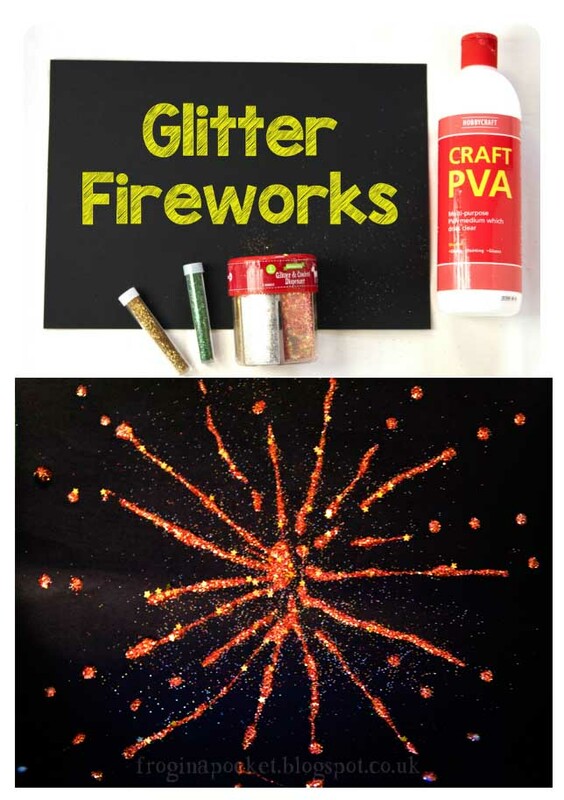 We already made fireworks pictures and explored pastels. 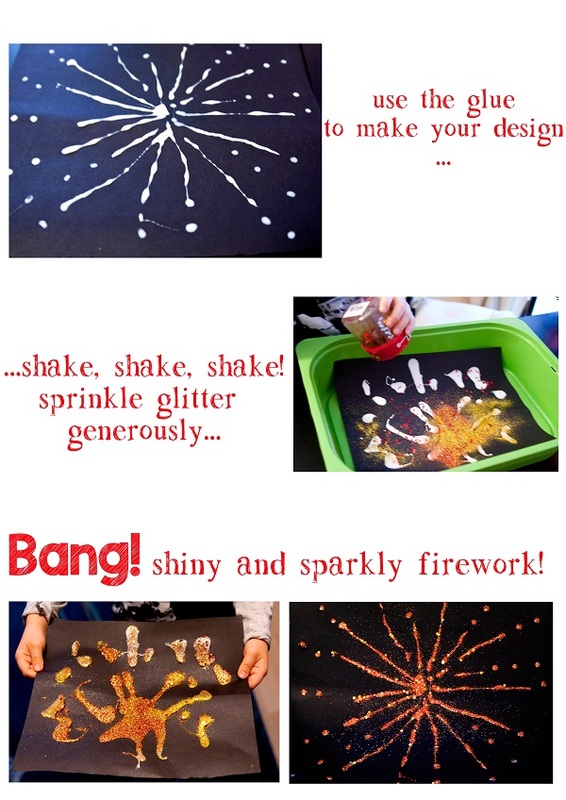 This time we decided to use all our glitter leftovers to create more shiny, sparkly and glittery firework pictures!